Karen Maitland is known for her meticulous research, gothic sensibilities and page-turning storytelling. Her new book, The Plague Charmer, is a typically dark, vivid account of the return of the Black Death to a small Devon village in the year 1361. Historia caught up with her to find out all about it. How did the initial idea for The Plague Charmer come about? My historical thriller, Company of Liars, was set in 1348 when England was devastated by the first outbreak of plague, but only 13 years later the Black Death returned, this time with a new and terrible twist. In 1361, the plague slaughtered mostly fit, healthy men and young people, while many women and the infirm either didn’t catch it or recovered. I discovered that in some villages nearly all the working men were wiped out, leaving the women to care for young children, the old and sick, and do their farm work as well take on the work of the men. They had to quickly learn to fish, hunt, plough and even become blacksmiths, because without smiths to make and repair iron farm implements, cooking pots and tools, all the other work in the village collapsed. I was intrigued to read conflicting eye-witness accounts. Some showed that women managed to adapt remarkably well. While other accounts, mainly written by misogynous monks, claimed that women ran mad, trying to seduce every surviving male, even monks, priests and their own fathers. But it made me wonder how women in an isolated village would cope in that situation? During the Ebola crisis, a reporter turned to camera and asked the searching question – ‘What would you do to save the lives of those you love?’ That made me ask just what would people be prepared to do to save their own lives and their families in those circumstances? In The Plague Charmer someone arrives offering to protect the village from the plague for a terrible price, but is anyone be willing to pay it? What drew you to the village of Porlock Weir as a setting? The setting really came before the idea for the story. I visited the beautiful little coastal village, which sits right at the base of Exmoor, trapped between the steep hills at its back, the marsh on one side, cliffs on the other and the sea in front. At low tide, you can still see the remains of medieval stone fish-weirs and along the coast of this part of Somerset, a few families still harvest fish from nets out in the bays at low tide, crossing the wet sand on a sledges known as a mud-horses, which have been used here since Roman times. As I looked at the village, I could almost see the ghosts of medieval women sitting on the shore gutting the fish and the men leading the pack ponies up the hills. From Porlock you can walk through the forest to Culbone, a tiny hamlet hidden deep in a valley, which has the smallest parish church in England. Culbone was so isolated by forest and sea during the 13th century that the mad, the heretics and those suspected of practising sorcery were banished there from all over England and abandoned to live in the ruined bee-hive shaped cottages which had been built eight centuries earlier by monks from Wales. It’s place of great intrigue and mystery, a perfect setting for the medieval thriller. I’ve heard you say that you like to tell stories that have a modern parallel. Why is that important to you? I think examining parallel events in the past sometimes helps us to gain a new perspective on events which are happening now, which we are unable to view objectively because they are too close to us. And stories that have a modern parallel help us relate more easily to the historical characters. We can understand their fears, because we are experiencing the same fears in similar events today. For example, when the Black Death struck in the Middle Ages it was accompanied by extreme weather conditions which caused droughts, flooding and starvation. Major disasters seem to follow each other so swiftly that people feared it was the end of the world and extremist religious cults sprang up whose fanatical followers believed God would destroy the world and save only them, the true believers. Many even claimed that God was calling on them destroy all non-believers. In The Plague Charmer, Brother Pracoe is the leader of just such a cult. But what fascinates me is that 600 years later, these medieval beliefs are still being echoed both in the the extremist Christian suicide cults such as Jonestown in 1978, but also in the Middle East and in Europe as I write. I think examining what fuelled this extreme religious behaviour in the Middle Ages helps us to understand some of factors fuelling it now. Many of your books feature characters – often female – that are unusual in some way or act outside the rules of society. Is this something you consciously choose to do? One of the reasons I write historical fiction is that I want to tell the stories of characters who represent groups of people who were written out of history, because they were marginalised and excluded from society. I think of it as giving a voice to the voiceless. Will, for example, is a person who was made into a dwarf, because they were valuable commodities in the Middle Ages. Simply because of their height, dwarfs could be bought and sold like animals with even fewer rights than a serf or bondsman. Yet, they were considered lucky and were usually the person sent out on the battlefield under the flag of truce to deliver messages between the two warring leaders. Almost every wealthy household would have ‘owned’ a dwarf, but what would the people like Will have thought and felt about their masters? You’ve written books set in Lincoln, where you lived for many years. Now, after a move to the South West, you’ve chosen to set this book there. What influence do you think the place you live has had on your writing? When you’re living in place you gain an in-depth knowledge of the legends and history of that area, because you can visit little-known churches or spend time in local history archives. But you also have an opportunity to study the landscape as if you are getting to know a person. You see its different moods, day and night, in different seasons and weather conditions For me, ‘place’ is a major character in the novel. It changes and it influences the people in the novels as another character would do. People’s lives, personality and thoughts are shaped by where they live, just as the prevailing wind shapes the way a tree grows. That is true both for the author and the author’s characters. You often blend fantastical elements of the supernatural with historical research – what importance do you think myth and folklore has to our understanding of history? For people living in the Middle Ages, the supernatural was part of the natural world. An eclipse of the sun or a burning light hanging in the sky maybe something we can explain as a natural phenomenon today, but even those medieval astronomers who could could predict when the next eclipse would occur, nevertheless believed that such an event in the heavens would influence the fates of kings or nations on earth. Part of understanding history is not simply knowing what happened, but why it happened and for that you have to understand why people behaved as they did. So you have to try to enter the mind-set of the people at the time. Folklore and myth are the keys to how people thought then, just as urban myths are the keys to understanding modern hopes and fears today. Using a charm to ward off the plague may seem fantastical, but it is totally plausible and normal if you were living in a world where everyone around you believed that you could be saved from everlasting torture in hell simply by eating a tiny piece of bread that a priest had chanted over in unintelligible ‘magic’ language called Latin. What would seem fantastical to a medieval person would be that someone gravely ill could be saved from certain death by shining a light onto them – which we call radiotherapy. And if we ever fall back into the Dark Ages again, that will become the stuff of myth and legend. Do you think folklore and myths are still important in today’s world? Myth and invented histories provides a cause for an event and also the cure. For example, in every century communities who are having a bad time will weave together certain facts and ignore others to create a ‘story’ of being oppressed or victimised in the past or present by another group. There’s generally some truth in this history they create, but in reality it is rarely that simple. However, they can use this ‘history of oppression’ to explain the ’cause’ of their current misfortune and it also provides the solution – get rid of that group and our luck will change. We can’t cope with the idea of things happening randomly, that makes us feel powerless and out of control. We will always need myths to explain the cause of bad things happening to us and rituals to try to control the future, even if its just wearing lucky underpants at a job interview. Your books are always peppered with wonderful nuggets of ‘hidden history’. How do you manage the research and how do you know when enough is enough? Once I have a plot idea I begin to research background facts – What is the effect on the body of eating nothing but fish for weeks? What measures were taking to stop the plague when it broke out in London in 1361? I record these in a file box to which I can add maps, visual images and small objects such as pressed herbs or a replica pilgrims badge. But, like every historical novelist, even when the writing begins, I suddenly realise there is a detail I need to find out. In one scene in The Plague Charmer I have a single line describing someone cutting away the laces holding up the hose on the hairy thigh of a corpse. In the novel, I don’t mention how those laces were tied in that period – adding that kind of detail at that point would have detracted from the drama of the scene – but I needed to find out for myself exactly how they were laced, so that I could picture the scene in vivid detail as I wrote. But I never stop researching. Even on holiday I’ll wander into church or thumb through crumbling books in a junk shop and stumble across some tiny gem, which often becomes the inspiration for a scene or even a new novel. That happened with the book I’m currently writing. I came across a small plaque in a private chapel which recorded lands being granted to a particular knight, except that the date didn’t make any sense in relation to certain events in history. At first I thought the stone carver had made a mistake – they often did, if they weren’t literate and were simply copying letters written by someone else. But it nagged at me and the more I researched it, the more I realised it wasn’t a mistake at all. Something far more interesting and significant lay behind that gift of land. You tend to people your books with fictional characters. If you were to write about a well-known historical figure, who would it be and why? I’ve long been fascinated by Edward II and his infamous relationships with Piers Gaveston and Hugh Despenser. He is one of those characters of history who has sometimes been painted as the victim of his scheming wife Isabella and her lover, sometimes as the weak and dissolute villain of the piece, unfit to rule. Even how he died has been the subject of myth and dispute. But I’d like to know how the boy became the man he did and what was going through his head during his periods of imprisonment, especially having seen his friends executed. You’ve been dubbed ‘Queen of the Dark Ages’; are there other periods you’d like to explore? I’d love to go back further into the Celtic or Saxon periods, but the trouble is that authors I am hugely in awe of write in those periods, so I probably wouldn’t dare. 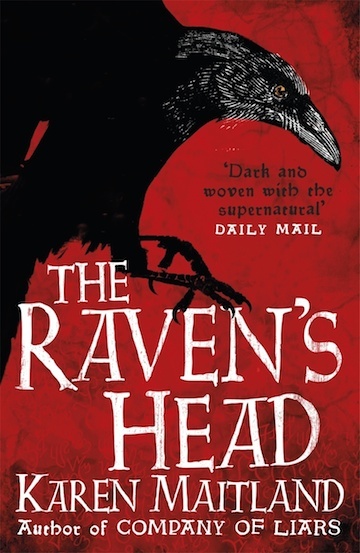 But when I was doing the research for The Raven’s Head, in which two of the central characters are medieval alchemists, I became fascinated with the history of alchemy, both before and after the medieval period, so if I was to shift period it would probably be to an interesting time in the develop of alchemy either before or after the Middle Ages. In Falcons of Fire and Ice, wrote about the horrors of the Inquisition in Portugal and the Reformation in Iceland and I think the Reformation period in Scandinavia is something I like to go into again, because there is so much intrigue and darkness to be explored there. The current novel is set on Dartmoor in 1316, during the great famine caused by a succession of wet, cold years which might have been triggered by volcanic dust in the atmosphere. It is said that even Edward II travelling through St Albans went hungry, because his steward couldn’t buy bread for the king and retinue, though it is quite possible the people wisely hid what food they had from the royal servants, especially as the king wasn’t exactly popular. Many people died during those years and there are tales of terrible things people did because they were starving and desperate. Dartmoor is steeped in myths and legends, one of which, of course, Sir Arthur Conon Doyle drew upon in The Hound of the Baskervilles. As a young child, I listened to the serialisation of that book on a tiny radio hidden under the bedclothes when I was supposed to be asleep. But some of the other legends of Dartmoor are equally spine-chilling and I am enjoying exploring those. 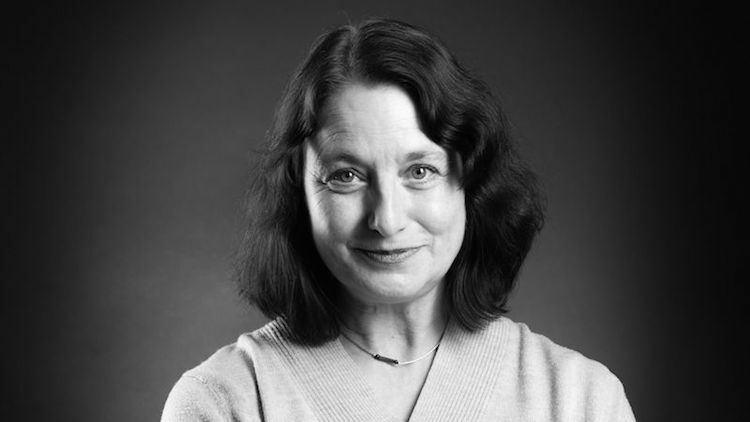 Karen Maitland is the author of six historical novels including Company of Liars,The Owl Killers, and most recently, The Raven’s Head. 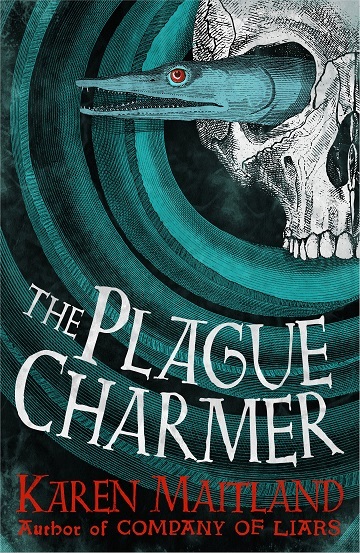 The Plague Charmer is released on 20 October 2016.